MESQUITE, Nev. — It was a hard-fought win. After the final 18 holes were played, it took a playoff hole to decide the winner of the Mesquite Amateur golf tournament Friday at the CasaBlanca Golf Course in Mesquite. The three-day tournament, which attracted golfers from around the United States, saw a Texan and a Washingtonian end up tied after regulation. 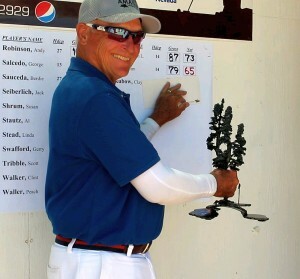 But 72-year-old Jim Wilson of Montgomery, Texas, outlasted Bob LaPlante of Maple Valley, Wash., by firing a bogey-5 on the first playoff hole, when LaPlante muffed his second shot and had to settle for a double bogey 6. Wilson and LaPlante were tied at the end of regulation, both men carding a net 65 after handicap. Wilson was pleased. Jack Seiberlich of Gold Canyon, Ariz., took low gross score by turning in a 3-over-par 75 at the end of the championship round. He said he’d never played this tournament before. Christian Adderson, corporate sales manager of Mesquite Gaming, was the tournament director this year. 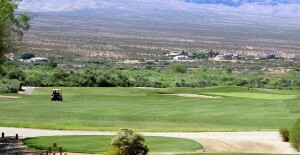 Mesquite Gaming, owners of the CasaBlanca and Virgin River resorts in Mesquite, were the main sponsors of the 54-hole event. 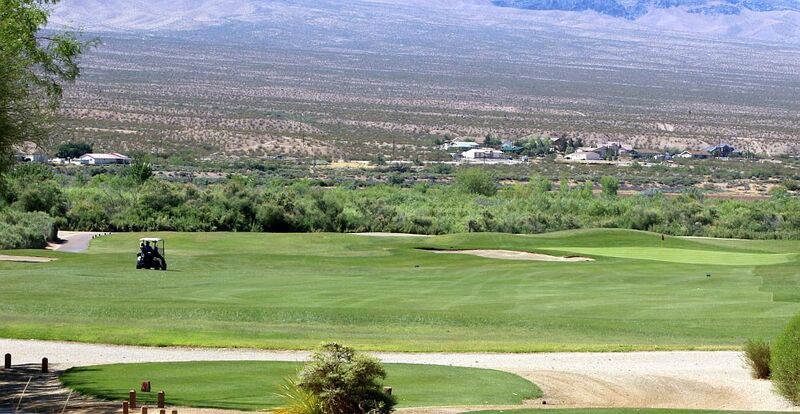 Joining them as sponsors were the Mesquite Resort Association, Golf Mesquite Nevada, the City of Mesquite, Southern Wine and Spirits and golf equipment manufacturers Taylor Made and Calloway.